Karen Gorman joined Federation of Organizations in 2005 as a member of the Babylon ACT Team. From there, she went on to become the Associate Director for the PROS program and then the Director of Residential Services. Ms. Gorman assumed her current role of Director of Strategic Partnerships & Resource Development in 2014. During that time, Ms. Gorman has played an integral role in expanding the breadth of Federation’s services across Long Island and New York City. While involved in all aspects of the agency’s development department, Ms. Gorman’s main focus is in the acquisition and development of housing for vulnerable individuals and families served through Federation’s programs. 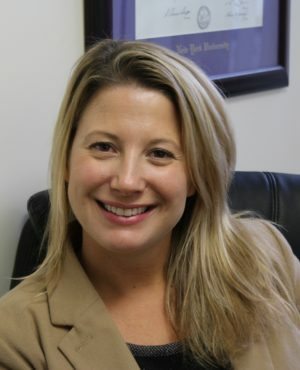 Ms. Gorman is a New York State Licensed Clinical Social Worker and Credentialed Alcoholism and Substance Abuse Counselor. She earned her Masters of Social Work from NYU and BA in Criminal Justice from Stonehill College. In addition, Ms. Gorman is an adjunct professor at Adelphi University’s School of Social Work and received the Long Island Business News “Top 40 under 40” award in 2016.